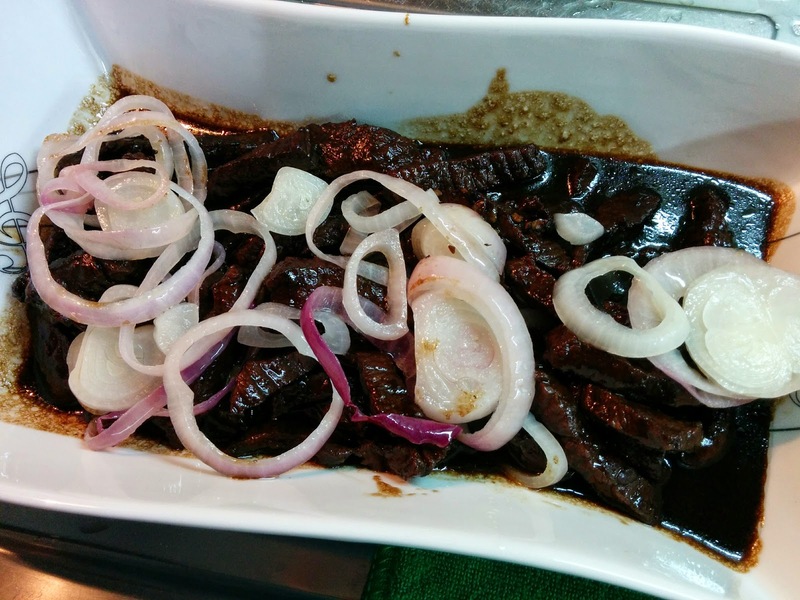 One of the easiest Filipino dishes to cook is bistek tagalog. I'm sharing this family recipe for my friend Celine who asked for it after I posted this week's rendition. Put the beef in a bowl, squeeze calamansi juice on it (best to use a strainer), add freshly ground pepper, minced garlic, rock salt and brown sugar. Mix it before adding the soy sauce. Leave to marinate for at least 30 minutes. Heat olive oil on pan and fry the onions until they become white (make sure they don't become soggy). Remove the onions and set aside. Immediately add the marinated beef onto the pan (do not include the sauce yet) and let it cook. Add some of the water to make the meat tender. Leave for about 10 minutes (make sure it doesn't dry up). When the beef shrinks a bit add the rest of the sauce (if the beef is still tough add a bit more water and let it soften a bit first before adding the rest of the sauce). Let the sauce boil before removing the yummy bistek tagalog from the pan. Garnish with the cooked onion rings. It seems just like yesterday when we tied the knot. We have been through a lot in the last five years, doing our first grocery shopping, our first cooking attempt, first laundry day, experienced mishaps like our smoking sink, our washing machine that broke down after first use, the septic tank nightmare, getting poisoned and many other experiences that we're just laughing about now. The last five years has been fun, full of love and there were humps and potholes along the way, but we've stayed solid. We can't say we are newlyweds anymore so we thought we'd start sharing thoughts on different topics. Please also send in your questions and we'll try to answer based on our experience how we'd probably work on it if we have not gone through it. For our first "He Said, She Said" post we answer the question, "What is your advise for couples who are about to start planning their wedding?" "Do some research. Talk with friends for referrals and search online for suppliers. Nowadays, it's easy to find reviews of wedding suppliers to give you an idea about their service. The research also gives you an idea of what kind of budget you can work with. Be committed with planning as much as you're committed to marrying. This is one of the very first major events you'll be making joint decisions on. Consider this a preview of what to expect after marriage as many many more joint decisions will be made almost on a daily basis. Don't forget to enjoy the entire wedding planning process. It shouldn't be stressful. And so no stress would be added to the process, plan early." "Start with an objective in mind, agree on your priorities, e.g. your budget, who will be attending the wedding, whether you want a grand or simple wedding. Everyone has a budget in mind and you can't really get everything that you want so the best thing to do is identify which components of the wedding is important for the two of you. For us it was making sure that the venue is near to both our relatives, we'd have good photos and a great video and the food would be delicious. We focused our efforts on these three aspects and we both feel fulfilled with our choices. We did not hire a wedding coordinator, we did all the legwork ourselves and what helped was having a list (from Wedding Essentials magazine) that helped us go through everything month by month. We also really spent time every week planning our next steps and we delegated work between us and involved our family and friends. 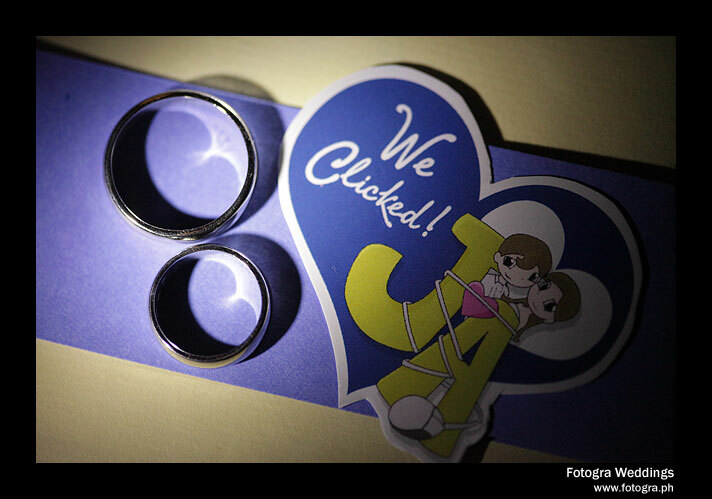 This made our wedding more special because everyone who attended pitched in to make the day successful."